Preparing students for standardized exams doesn’t have to be boring or irrelevant! Here’s another high-interest test prep article on an engaging topic – the possible benefits of chewing gum. 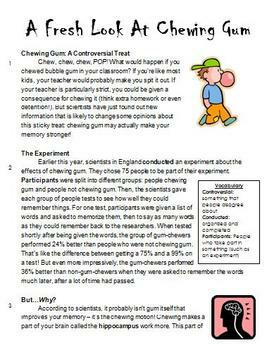 Students will read about recent experiments that have shown that chewing gum may improve memory and reaction time.